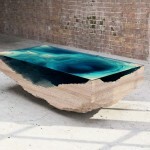 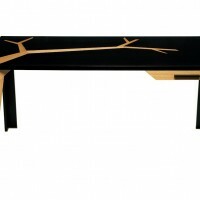 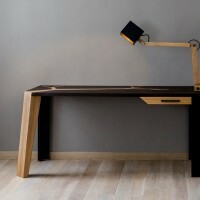 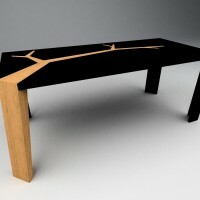 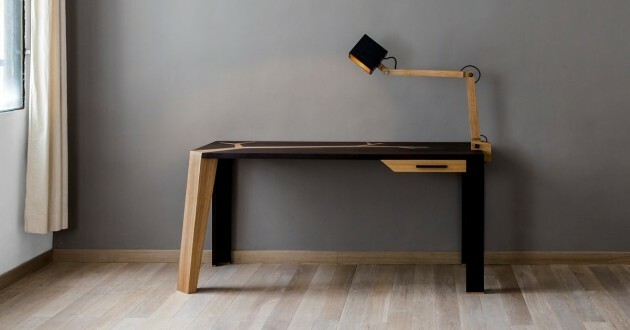 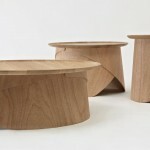 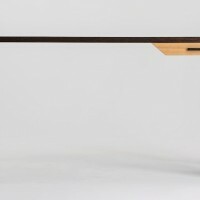 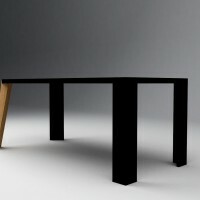 Paris-based Olivier Dollé has designed a coffee table, dining table and writing desk called Angkor. 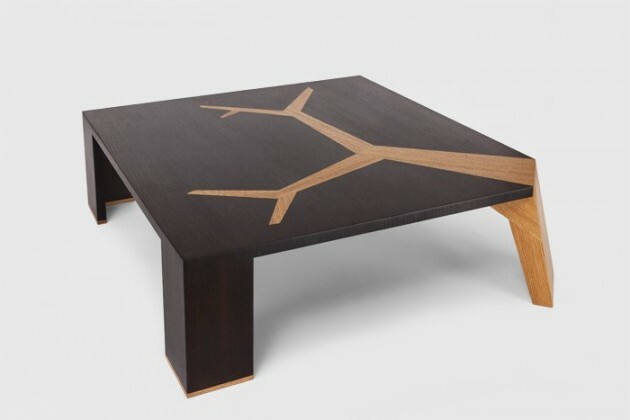 Inspired by the 12th century temples at Angkor Wat in Cambodia, a place where architecture and nature are one and where tree roots and branches overrun the walls. 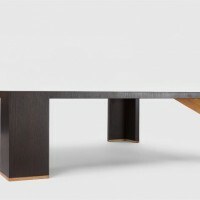 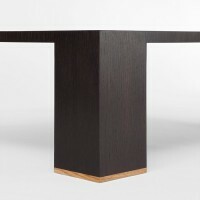 A multiplex birch wood structure veneered in black dyed wood table. 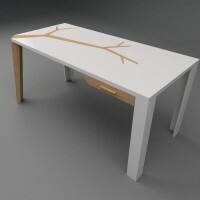 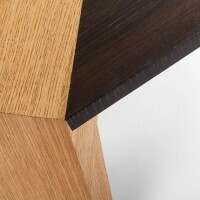 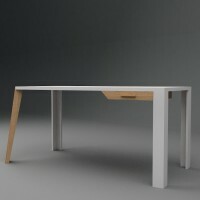 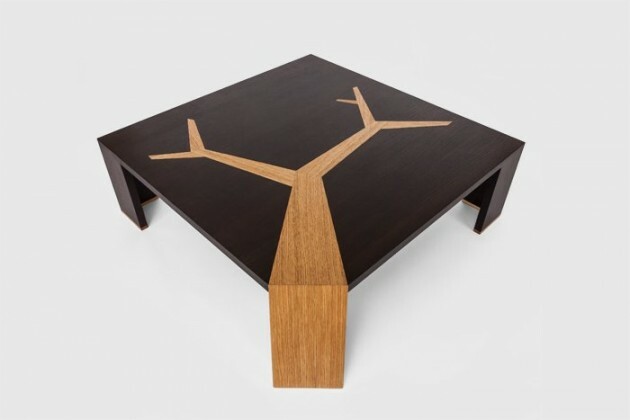 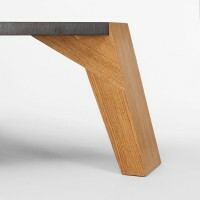 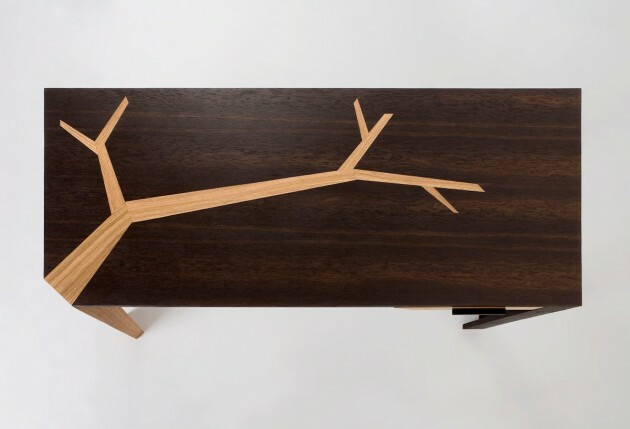 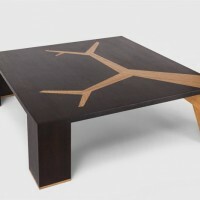 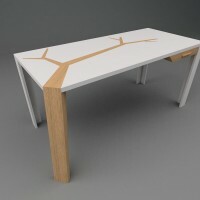 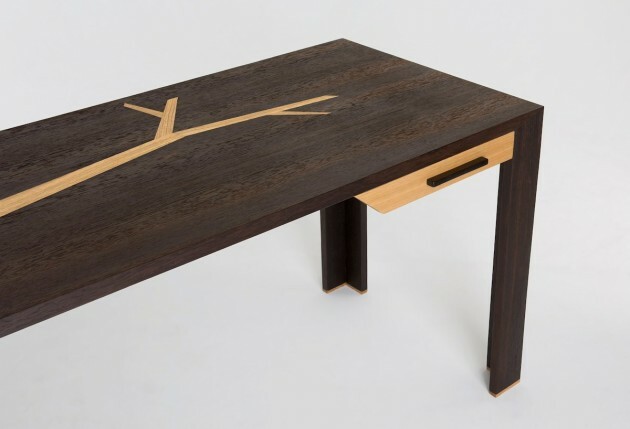 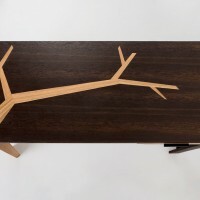 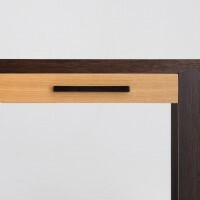 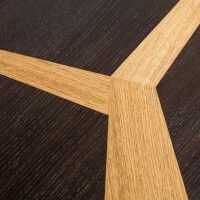 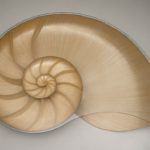 It’s leaning leg imitates a natural branch motion and is veneered in oak as is the branch table top. 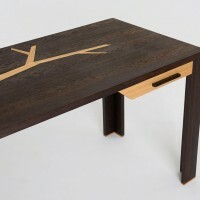 The table’s three black legs are furnished with oak feet. 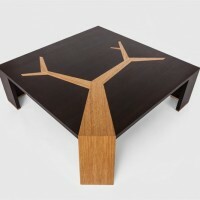 It’s available in coffee table, dinning table and writing desk.